To create a type heavy research journal about a specific scientific phenomenon; making sure to abide by type grids/rules within the layout. 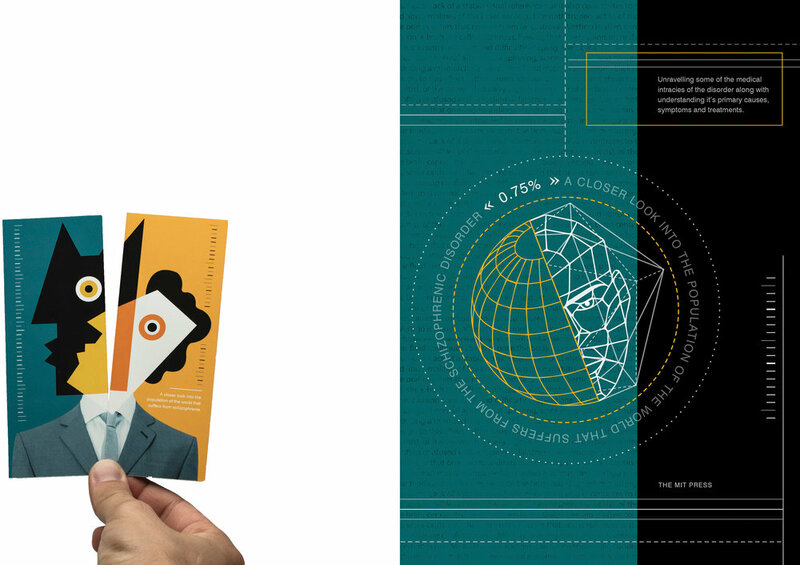 This book was designed to be an informative journal about people suffering from schizophrenia. The schizophrenic disorder, along with all of it’s medical intricacies has be depicted in a way that is easy for any layman or someone with a non-medical background to understand. Rather than resorting to reading overpowering and technical medical books, or hearing about stories from misinformed people; the concept for this book develops around pairing straightforward and understandable information with some interesting and design-oriented artwork and imagery. 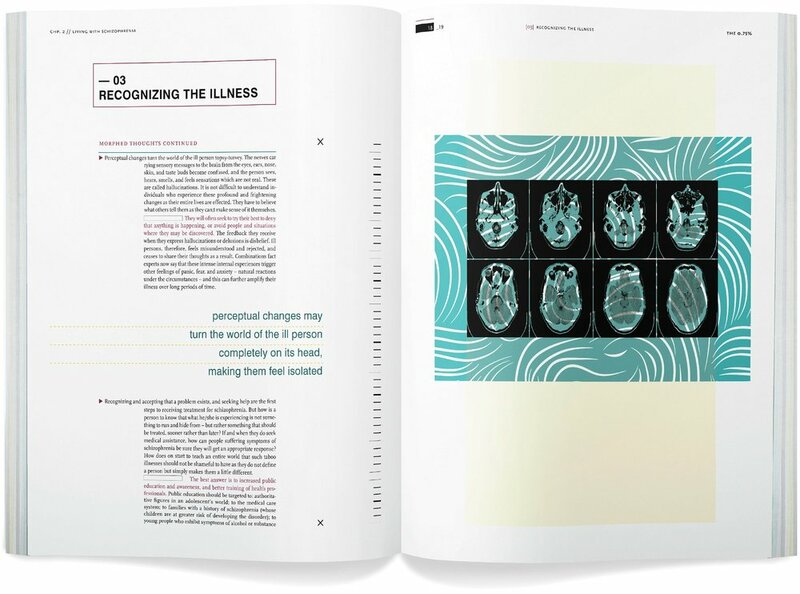 As opposed to more jarring images that are stereotypical to the subject of schizophrenia, this book will depict the reality of the disorder that is almost never talked about. Designed in a clean and well structured way, this journal lets its readers know that the disorder is not as extreme as some might think. It humanizes schizophrenia.